We would like to thank four very brave PM PROjEN Personnel who recently took part in a Firewalk Fundraiser for Halton Haven Hospice. 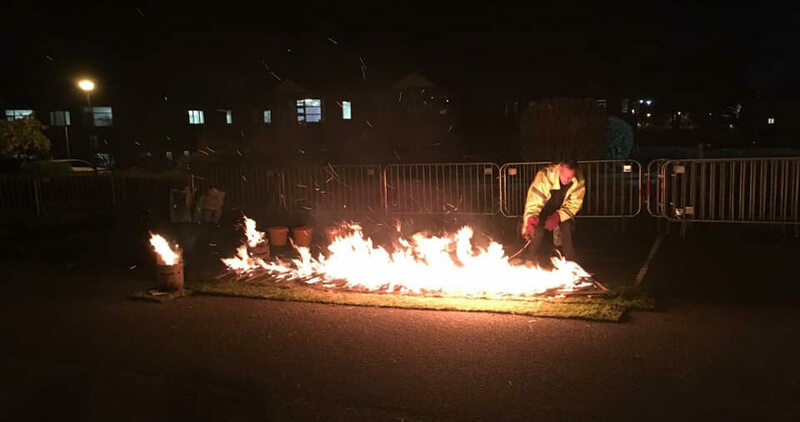 Kim Johnson, Sharon Bebbington, Mike Rockett and Warren Giddins all gave up their time on a chilly November night to overcome the mental and physical barriers involved with taking on the challenging Firewalk. The team walked barefoot over coals hot enough to potentially give them third degree burns! We are pleased to report that all four returned to work unscathed and PM PROjEN are incredibly proud of their achievements. Thank you once again to the Firewalking team and to all those who sponsored them, the current total raised is a fantastic £1,350 and all money raised will directly benefit Halton Haven Hospice, their patients and their families.